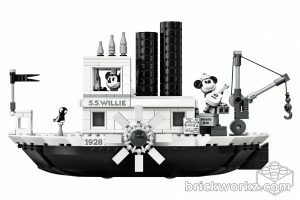 I know this must seem cliche to say, considering my choice of professions, but LEGO really found my sweet spot with their newest announcement, an adorable and true-to-form Steamboat Willie LEGO set! 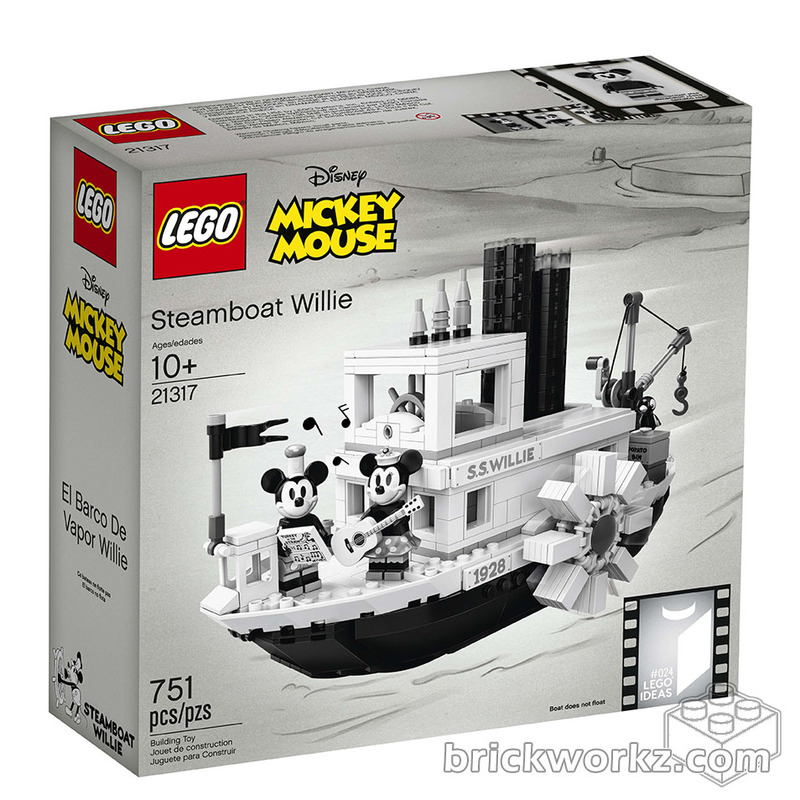 This set, 21317 Steamboat Willie, is new from LEGO Ideas (a crowd-sourced program, where anyone’s Lego set concept can be voted into becoming a short-run official LEGO set), cannot come soon enough! 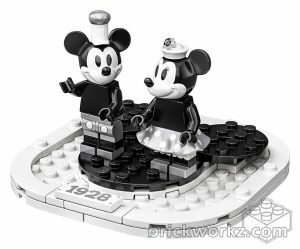 Retro Mickey Mouse and Minnie Mouse minifigs and their S.S. Willie steamboat are part of the set. 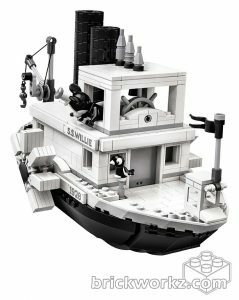 Just like the animated short, the boat’s steam pipes bounce up and down, and the paddle wheels rotate. Steamboat Willie has been a favorite of mine since the first day I watched. This animated short by Walt Disney was the first animated short to combine sound and picture! Walt saw The Jazz Singer (the first synchronized film with music accompaniment) and saw the potential of motion picture AND sound together. He went all-in, and took his characters from “Plane Crazy” to make Steamboat Willie! The rest, as they say, is history. The mouse, newly designed after losing the rights of Mortimer Mouse to his employer, would soon develop a personality, a girlfriend, and ultimately the name of Mickey Mouse. Walt Disney was famous for saying that “it all began with a mouse” when referring to the wonderful world of Disney. And he wasn’t wrong. I feel that way too about LEGO – the Lego Group has come such a long way from the wooden toys that Ole Kirk Christiansen created back in 1932. As an entrepreneur, I respect the growth of these two companies so much in their development, their support of creativity and imagination, and the total dominance in popular culture spanning generations. 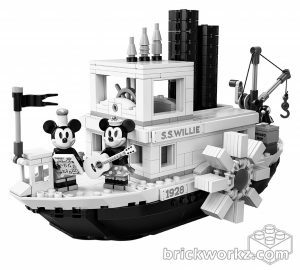 So to see both of these worlds come together is a real treat for me, a LEGO fan and a Steamboat Willie fan. I can’t wait to get my hands on this set!